You should have a Microsoft Azure account and have created a Storage account of kind 'Blob storage'. Funnel has no opinions about how you configure your account, resource groups, or container. The host name of your service account. You can find this in 'Properties' under 'Primary blob service endpoint' or 'Secondary blob service endpoint'. You can use either but cannot currently configure Funnel to use both. The name of your container. 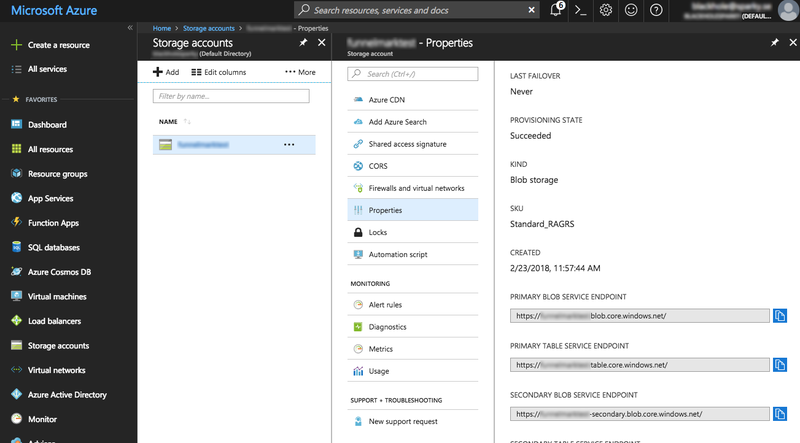 You can create an Account-level SAS token using the Azure portal on the 'Shared access signature' page.